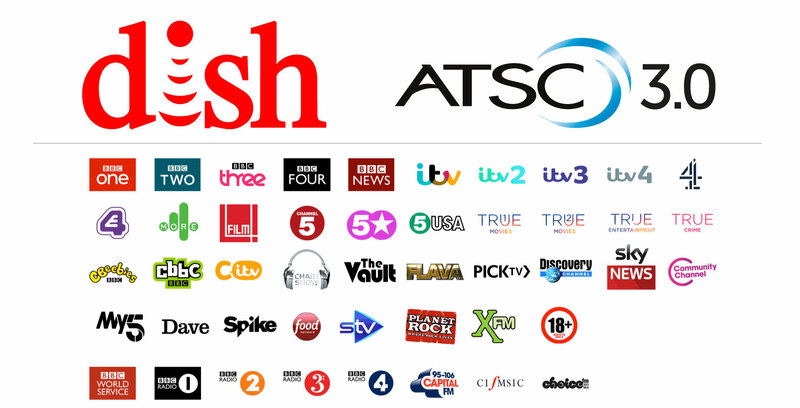 DALLAS—DISH announced that it has successfully trialed the transmission and reception of the new broadcast ATSC 3.0 standard as part of the Spectrum Consortium, LLC’s “Next Gen” deployment project in Dallas. Using its 700 MHz E Block spectrum (former broadcast TV channel 56), DISH deployed on Spectrum Co.’s Garland, Texas, Single Frequency Network site, as part of the country’s first major market conversion to the Next Gen broadcast standard. Spectrum Co. is a consortium of broadcasters leading the transition to ATSC 3.0. DISH’s 700 MHz E Block is uniquely positioned to provide coverage to 95 percent of the license areas in the U.S. Additionally, DISH’s uplink spectrum assets could be used to provide a unique, dedicated reverse link channel for broadcast data applications. Spectrum Co. is defining the requirements of the Dallas SFN deployment project. Sinclair Broadcast Group and American Tower Corporation, working within a memorandum of understanding that will help shape future joint activity, have deployed and are commissioning multiple sites that will support multiple channels as part of this SFN network. Two 6 MHz channels have been committed by market broadcasters (Univision and Cunningham Broadcasting Corporation) to Next Gen service transmission infrastructure that will also accommodate DISH’s licensed E-Block spectrum. By participating in the Spectrum Co. project, DISH will be able to share in and benefit from the understanding that evolves during the operation of this pilot deployment. Vendor partners in the Dallas “Next Gen” rollout include: Hitachi COMARK (transmitters), ATEME (encoders), Enensys (gateway resource scheduler), Dielectric (band-pass-filters, transmission line and antennae), Monroe Electronics (EAS Digital Alert Systems), TestTree (monitoring and control), Acrodyne Services (integration), ONE Media (configuration and design).